Way back in February of last year we embarked on a photographic venture along the route of a proposed access track to the then still recently approved wind farm atop Mynydd y Gwair. 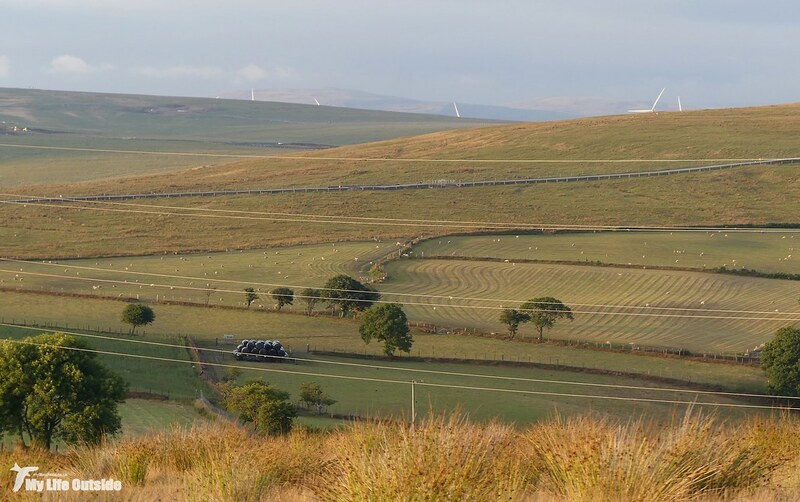 As one of the few large remaining expanses of wilderness bordering Swansea the prospect of sixteen huge turbines marching across its open vistas was one which filled me with dread. 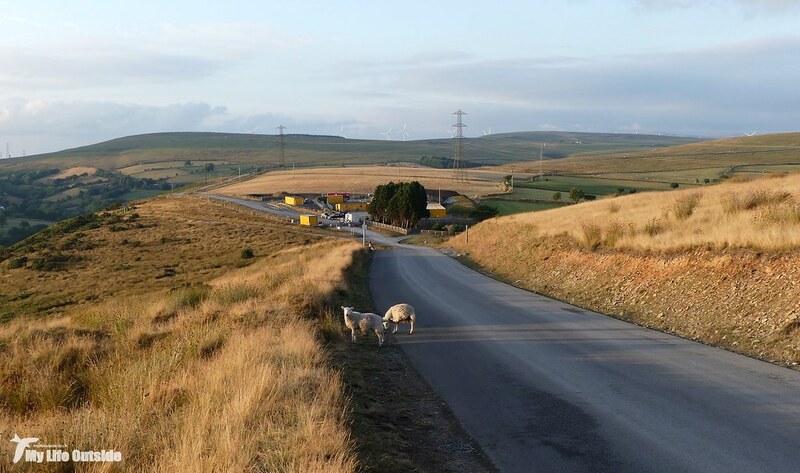 We'd already lost neighbouring Mynydd y Betws a couple of years previous to another scheme so knew pretty much what to expect but this time it would be far more personal. You see in order to gain access to what is after all a relatively remote location the engineering firms involved would need to extend said track some 14km stretching from the A48 in Pontarddulais right through the very heart of my local patch. 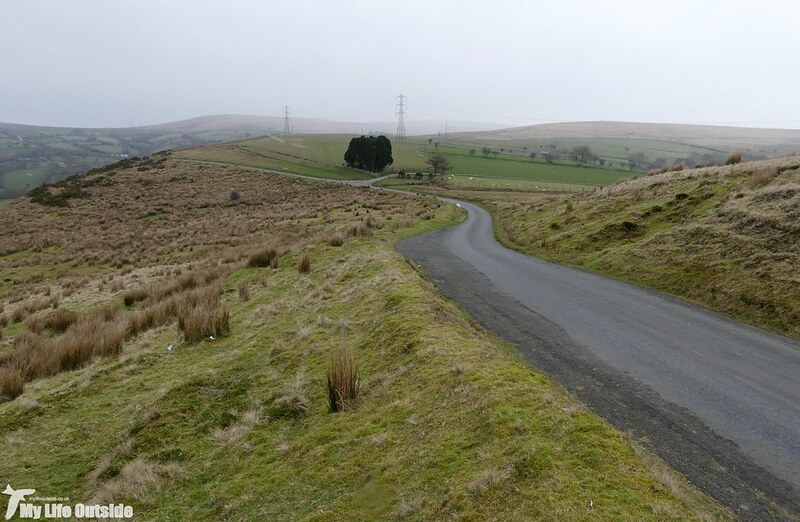 Country lanes would be widened, existing roads regraded and once green fields and open moors bisected. Back then all I had to go on were architectural plans lodged with the city planning office so I decided to document the works if not for posterity then at least to remind myself of what we once had. Fast forward eighteen months and with much of the access track now complete I felt it high time for an update. Retracing our steps I recreated each of the photographs from that bitterly cold winters day and even though I've been making regular trips throughout, seeing before and after images side by side really was a shock. To be fair to the contractors they've done an excellent job keeping the area of impact as narrow as possible and finishing to a high standard. Even so there's no escaping the visual change and that's even before the turbines are installed. So here we go then, eighteen months in the life of a Welsh valley, all thanks to our insatiable need for energy. If there's one point which shows the impact on this landscape better than any other it's where the access track climbs its way up on to Gopa Hill. Last year this was a grassy field home to breeding Whitethroats and expansive views down across the Loughor estuary. Today a concrete bridge escorts up to fifty lorries a day across a major water main. Looking in the opposite direction from roughly the same location a second concrete bridge protects another water main. It's also very obvious here how the previously grassy farm track has been substantially widened and the surface gravelled. In several places along this stretch concrete reinforcements have been installed along the left-hand side in order to accommodate the extra width and to protect against subsidence. The surface from here on has also been tarmacked but its pleasing to note that stone walls on the right remain untouched as do the main Bluebell banks. 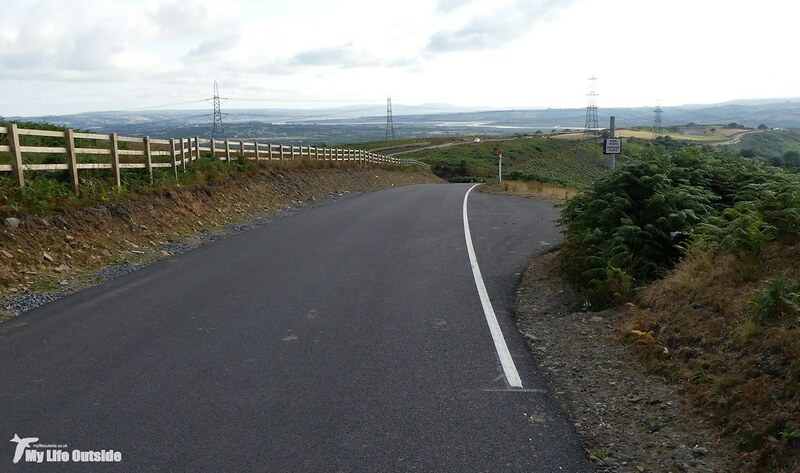 At Bryn-bach-Common the existing road has been improved including almost doubling its width and resurfacing. As I wrote at the time the common remains virtually untouched which is a great relief and in places overhead cables have actually been removed in order to allow taller vehicles to pass. Thumbs up on that one from me. Dropping down to five ways the road has been completely regraded to reduce the steep descent with new fencing installed along each edge. Although this doesn't restrict access in any way I do find it amusing that someone has deemed it necessary to install this at all. Surely people don't need protecting from what is after all a steep slope, do they? I must say I'm very pleased to see that five ways itself has remained intact. This overly complex junction seems completely out of place up here but it's one of those features that lends the area that little extra character. 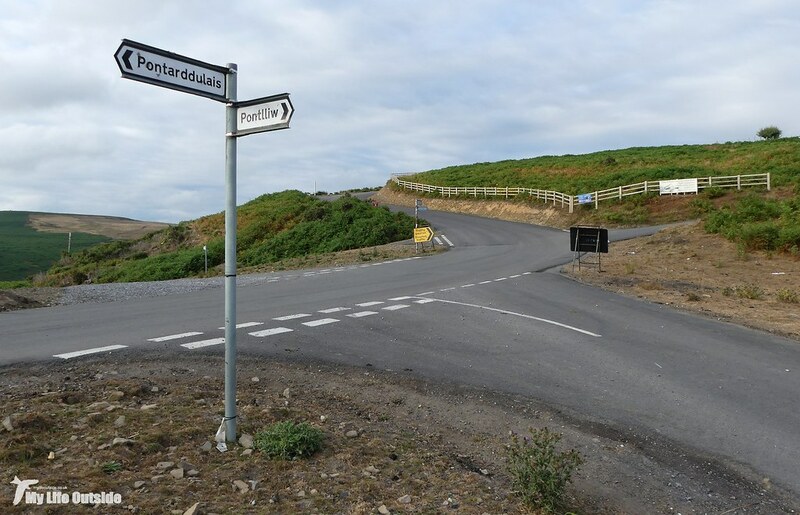 Priorities have however changed to allow wind farm traffic to pass through uninterrupted and the road heading up has also been extensively regraded, widened and the sharpness of the curve reduced. Looking back down to five ways you can again see the widening and resurfacing that has taken place including improvements to the passing places which are now more numerous and can take larger vehicles. The downside to this is that the quantity of litter being left has vastly increased as people now park here to admire the view. Can't blame that one on the wind farm though, just part of society's continued abuse of our natural world. 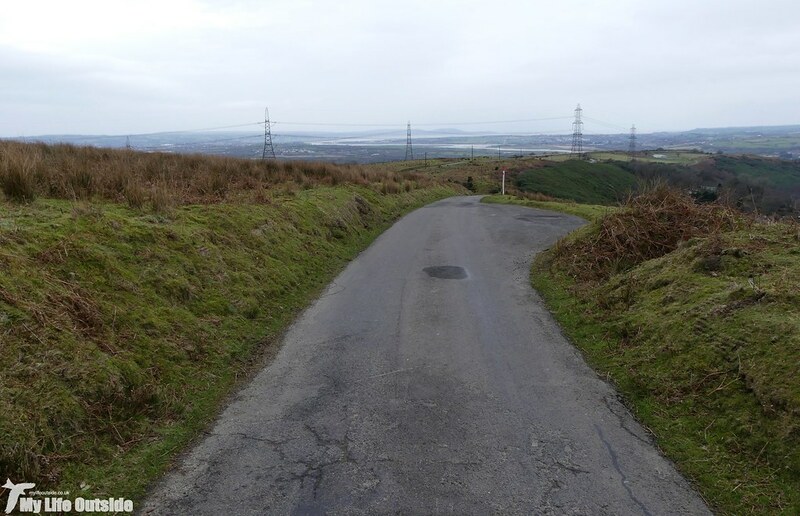 Climbing up to Cwrt-mawr where further widening is in evidence. 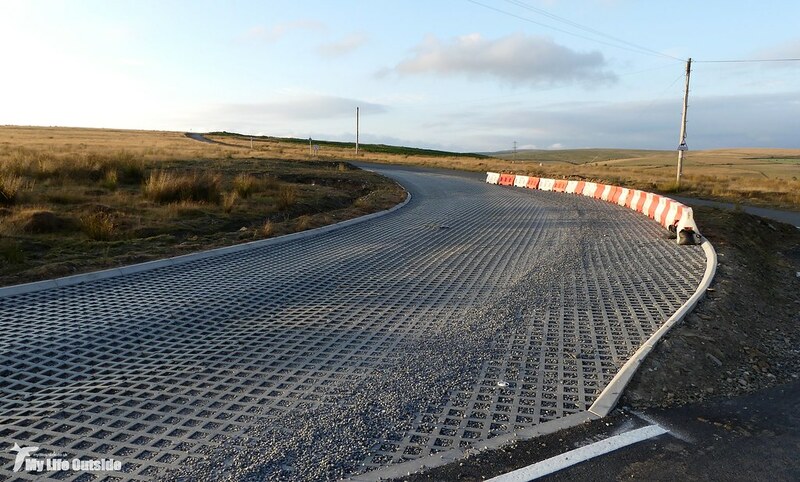 Where the road heading up from Felindre joins new concrete mesh sections have been installed to allow construction traffic to negotiate the tight turn. Judging by subsidence already visible this is either intended to be fairly temporary or, if not, will require attention very soon. 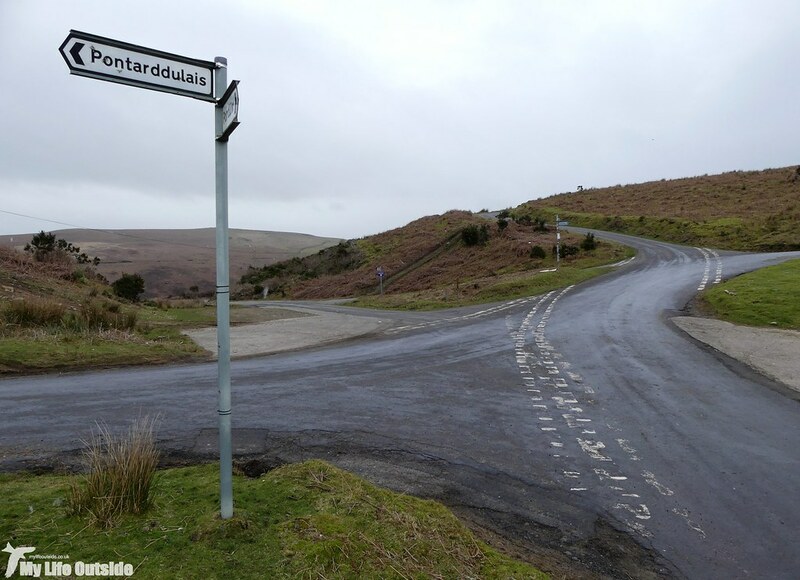 It's only when approaching Blaennant Ddu that the biggest changes become visible once more. A new construction depot has been installed and the old grassed track replaced whilst beyond we see the section I worried about the most for the first time. With workers still on site I didn't venture any further but cutting across Mynydd Garn-Fach you can clearly see the new access track. The quantity of stone laid down here must be vast and sitting proud of ground level as it does, this is one area of common which is forever spoiled. Even when vegetation has had chance to regrow there will be no mistaking this man-made addition and for now at least crossing its route remains impossible. Seeing the impact to Mynydd Garn-Fach above gives a small taster of what is being done to the larger areas of common land beyond. Sadly I didn't have time to get up there on this occasion but rest assured I will soon. The first concrete pours are already taking place there and it won't be too long now before the turbines themselves start to arrive. Landscape impact aside that's sure going to make for one impressive sight. Many thanks for posting this Adam. I have been watching the turbines appear on my horizon for the last few weeks and must get up there soon to take a closer look.